In 2013, we saw wooden coasters do amazing new things, watched as giant robots battled across Orlando, pulled an all niter with Monsters, and walked with the dead, through cabins and woods and many other dark and demented places. With so many amazing things that happened in 2013 in the amusement industry, we are really excited for what 2014 brings. Before we finally close the book on 2013, however, we will pay tribute to the best Water Parks in the amusement industry for 2013 – as voted by you! Water Parks are a huge staple in the amusement industry, especially during the summer when temperatures are soaring and folks are looking for a place to cool off for the day and have some fun at the same time! 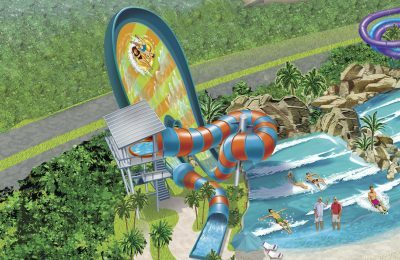 Over time, water parks have evolved to include more than just water slides and wave pools. Today’s water parks include sandy beaches, some of the most amazing thrills you will find, and also quiet and serene places to relax while your family has a blast. Previous PostTop 5 Theme Park Websites of 2013 Next PostThe Best Halloween Events in America! As voted by you!